Be the only one in your neighborhood with custom colored glitter! It’s easy to do and you only need a couple of ingredients! 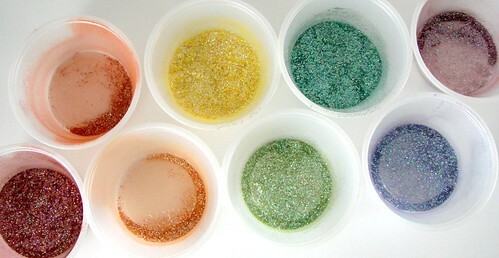 So grab your Iridescent Glitter, Mica and Mini Scoops and get ready to make dazzling glitter in any color of the rainbow! The concept is super simple. 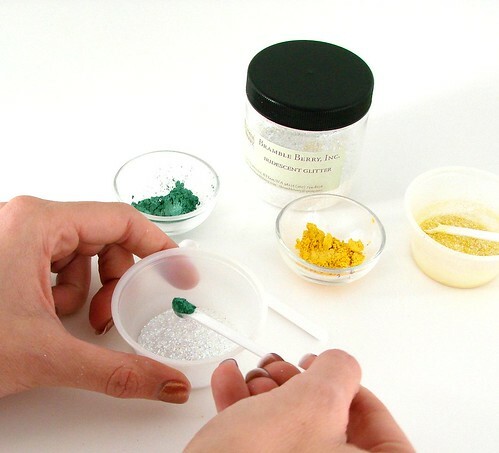 Just combine 1 mini scoop of mica (any color) and 1 tablespoon of iridescent glitter. Mix until fully incorporated. See that fun lime green color above? I mixed 2 mini scoops of my shimmering green glitter with 2 mini scoops of my classic yellow glitter for a bright and unique green. Or, try mixing Blue Mica and Red Mica for a really cool purple. Or, Red Blue Mica mixed with Merlot Mica for a hot pink. Your glittery possibilities are endless! Yes, we did have to do some testing (trial and error). Above is one of our first attempts that didn’t pan out how we thought. 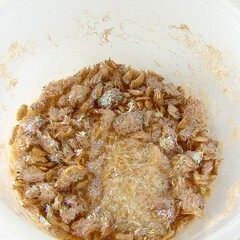 We mixed Shredded Glitter with a Liquid Labcolorfor a not so pretty, super chunky first try. But we got it right in the end! Good luck with your creations and let us know what fun colors you create! P.S. Stay tuned…more glitter projects to come! Thanks. I thought it might so I thought I would ask anyway. But now I can create glitter for other crafting projects. The color in the glitter colors the soap so the glitter sort of separates out from the color, yes. Can these be used in soap? Would the glitter and the mica separate? I am so thrilled that everyone is appreciating this tutorial. It makes me feel very warm and fuzzy. Was just ordering glitter. How fun. Can't wait for it to get her so I can play! Now why didn't I think of this when I was looking for some bright glitter and only had fuschia and white? Thanks for the info. Thanks so much for sharing…who knew? It will be fun to be able to do on my own…are you going to share how to do that leaf soap too? 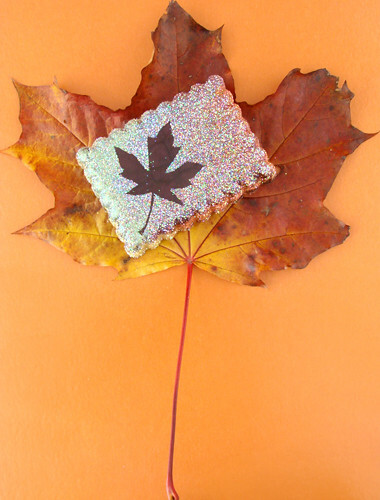 Hint…hint… (Is it a real leaf?) It's simple yet elegant at the same time! What a neat idea. I've been using my premade glitter that I purchased but also have iridescent that I can play with too. How do you get the spakles incorporated throughout the soap? I have the natural and clear melt and pour from Brambleberry but find that the glitter all sinks to the bottom when I put it in my soap. oh my, now we have to play! I never ever thought of this and never knew it possible. i hope BB has plenty of iridescent glitter ready for all of our orders!!!!!! This great! 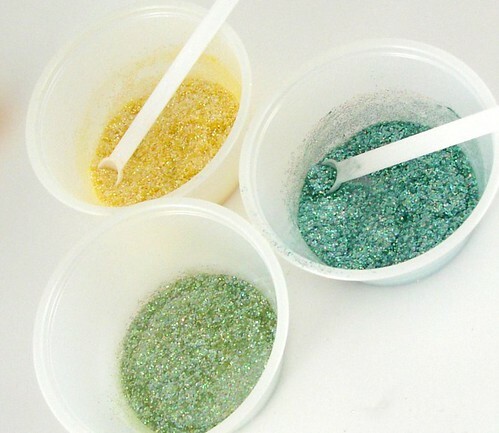 Because of special minimums to order this could save me alot of money buying glitters, I can create my own! I wanted to thank you for your amazing blog, ideas and for sharing all of your hard work. And as i am reading one of your post 'they love us', i can definitely tell you: I LOVE WHAT YOU DO! Bonne journee! Keep up the good work!